Sarojini Naidu Birth Anniversary: Sarojini Naidu was the first Indian woman President of the Indian National Congress and also the first woman governor of an Indian state. Sarojini Naidu was imprisoned multiple times for her long involvement in the nationalist cause. Sarojini Naidu, often referred as the "Nightingale of India", was born on February 13, 1879. She was a freedom fighter, a child prodigy and poet and had many firsts under her hat. She was the first Indian woman President of the Indian National Congress and also the first woman governor of an Indian state. She was a freedom fighter, child prodigy and poet whose iconic life influenced Mahatma Gandhi too. Today is her Sarojini Naidu's 140th birth anniversary. She was a bright student and topped the matriculation examination at Madras University. At 16, she travelled to England to pursue her education in King's College, London and Girton College, Cambridge. Sarojini Naidu played an important role during the Civil Disobedience movement in India's freedom struggle. She also faced arrest for in 1942 during the "Quit India" movement. Sarojini Naidu's writing career began at the age of 13 and her major contribution was in the field of poetry. The Golden Threshold, her first collection of poems, was published in 1905. The Feather of The Dawn was edited and published posthumously in 1961 by her daughter Padamaja. 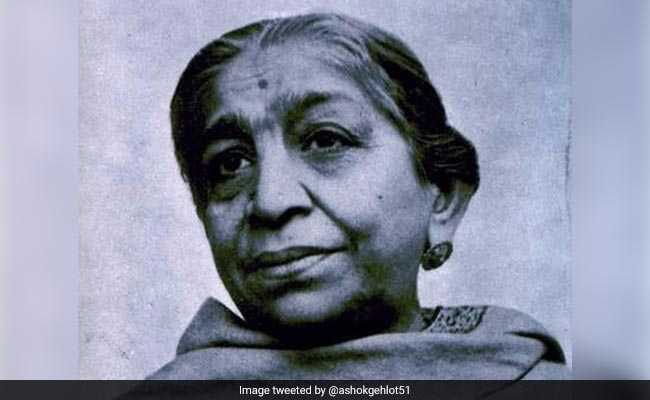 Sarojini Naidu was imprisoned multiple times for her long involvement in the nationalist cause as she always marched in Mahatma Gandhi's footsteps.